Praiz, Iyanya, and Timaya have been called out by Nigerian On-Air Personality, Tolu Oniru popularly known as Toolz who confronted Praiz after his interview with Oliseh and Maria Okan for severing ties with her. According to the OAP, some of her male “friends” in the Nigerian music industry whom she thought were her friends left her immediately she got married and one of them is Praiz who she was opportune to speak with and hear His reason. 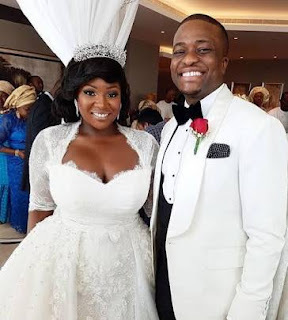 According to Praiz, he didn’t stop talking to Toolz, he only curtailed the frequency of their communication because of his respect for her marriage. Timaya, on the other hand, told Toolz that she is dead to him the day she got married and apparently he kept his words because it seems she hasn’t heard from him since then. Just like Praiz, Toolz revealed Iyanya told her he stopped calling her because she got married. To Praiz he didn’t continue because he felt he bonded with Toolz and when she got married… So? He didn’t say though but this kind of thing is quite hard to understand because like it or not she was going to marry he boo and that shouldn’t hinder FRIENDSHIP. Toolz revealed she wasn’t happy with their decisions because she thought they were friends.